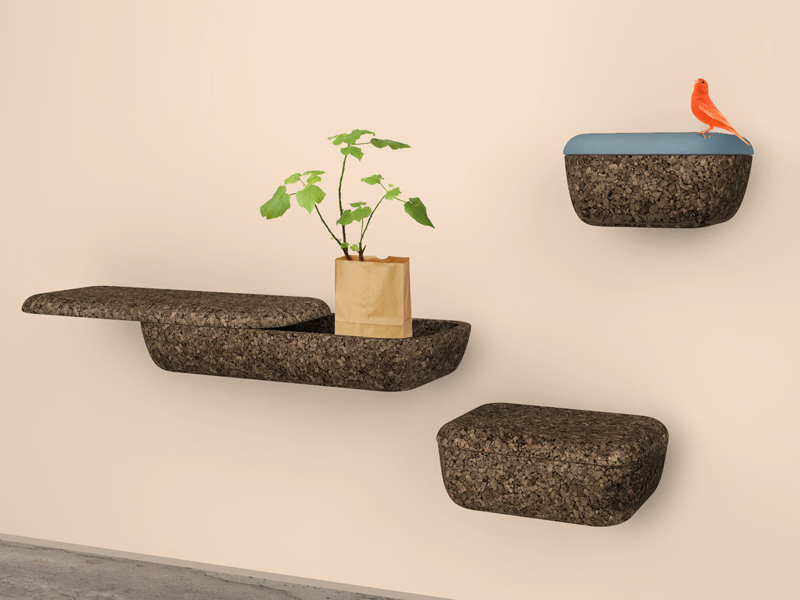 This project was commissioned by Blackcork, a new furniture brand created by Portuguese cork company Sofalca. 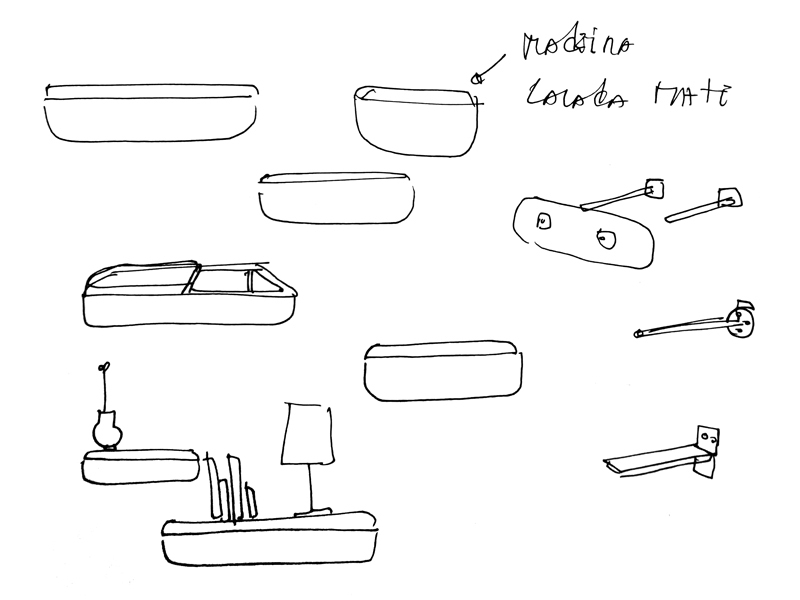 For their first collection I developed a shelving system which plays with the perception of volume and weight. These seemingly massive shelves produce the illusion of being floating on the wall thus giving the user an extra storing space. 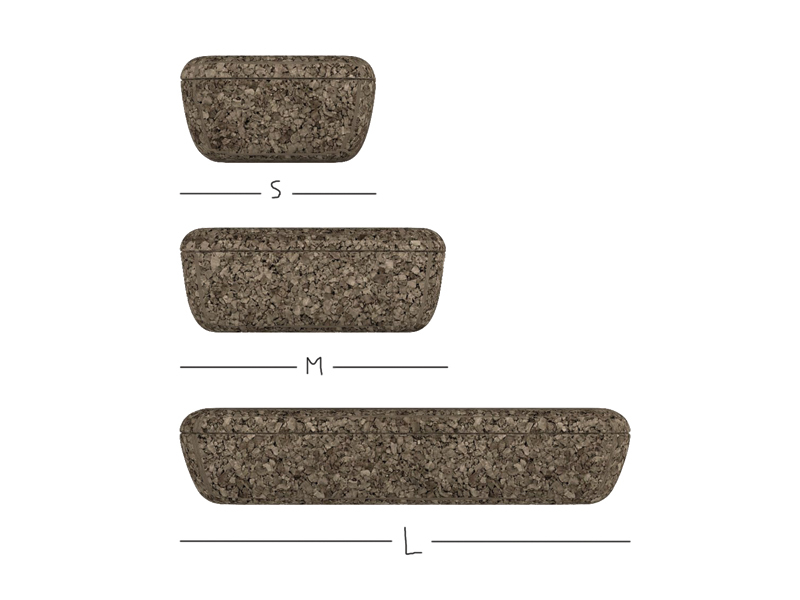 The use of natural cork allows the creation of pieces with a strong visual weight but structurally light. The user is invited to freely compose his wall according to his needs. The modules are available in three different sizes: 800x300x150mm, 500x300x150mm and 300x300x200mm. 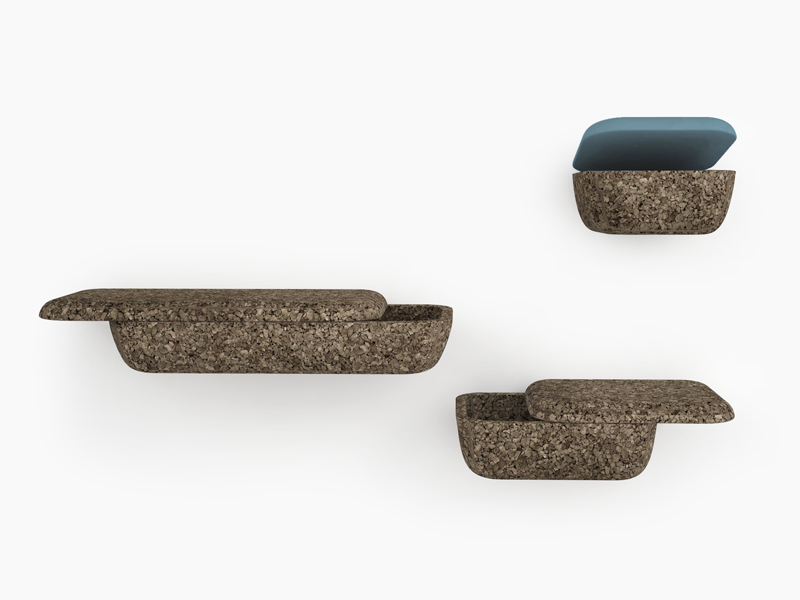 This project was presented during Maison&Objet at Now! Design à vivre from 24th-28th January 2014.